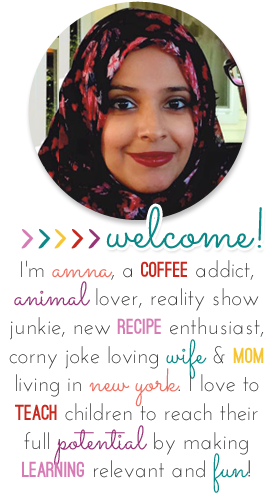 I'm actually doing a blog post on a weekday! 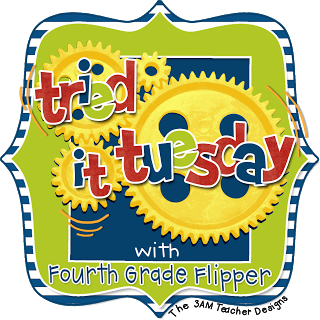 Today I get to link up with Fourth Grade Flipper for Tried It Tuesday. There are a few kids in my class that keep on getting the spelling of certain words wrong. Either they just spell it wrong one way all the time, or they spell it wrong multiple different ways every time they write the word. Most of the time, these are the kids who will not take the time out to look in their spelling dictionary they have in their work folders. So I came up with a way that could help these kids have a visual reference to the words they commonly misspell. I made these spelling desk cards. ignore that spelling mistake! It's fixed now. In the picture above, I typed up about 20 words that I know two kids in my class spell wrong many times. I laminated the card and taped it on their desk. Now they have a clear and direct reference to the spelling and they can self edit. I put a little square next to each word so we can check it off as I notice that they have mastered the word. I have these two versions with the words I noticed are commonly spelled wrong. One version has a spot for the student's name. 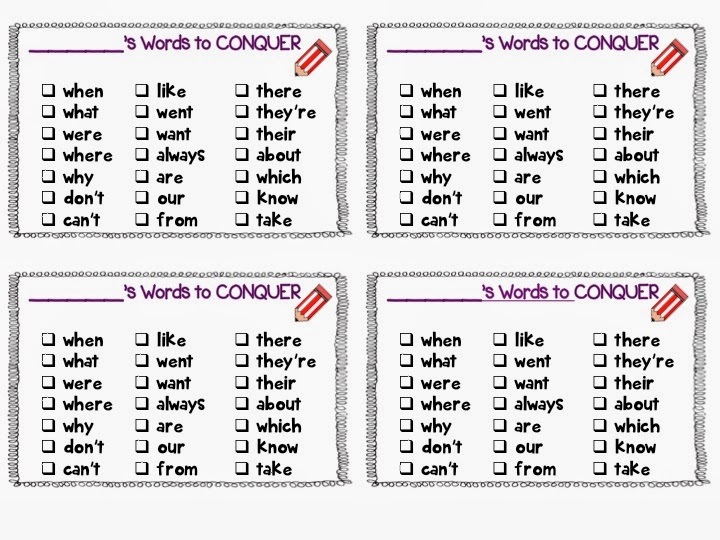 These versions allow you to fill in specific words for students...one has lines and one is blank. Make sure to laminate these so that you can wipe on and off as needed. You can differentiate and do this for all students or just the ones you think need that extra push. I would love to share this file with you, so please go ahead and download HERE! ** Update** If you downloaded this the day I posted it (2/11), please redownload since there was a spelling mistake that I've corrected. Cute idea. 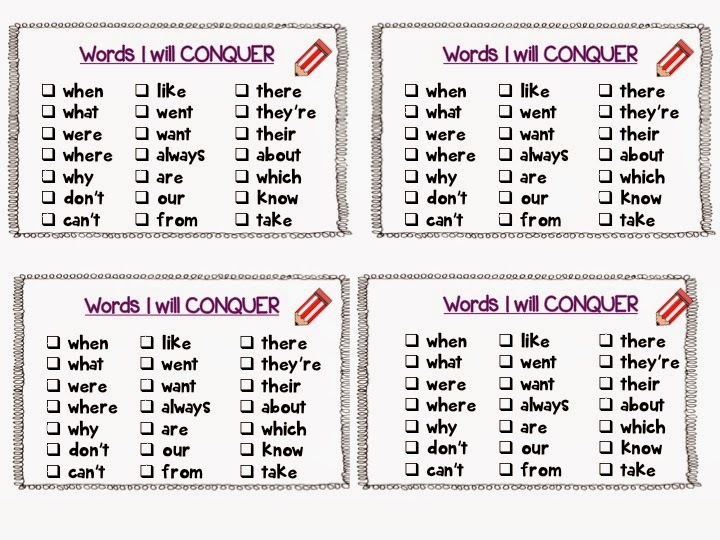 I love that the words can be checked off as they master them. thank you! I hope you get this reply so you can download it again since there was a big spelling mistake! Hello! 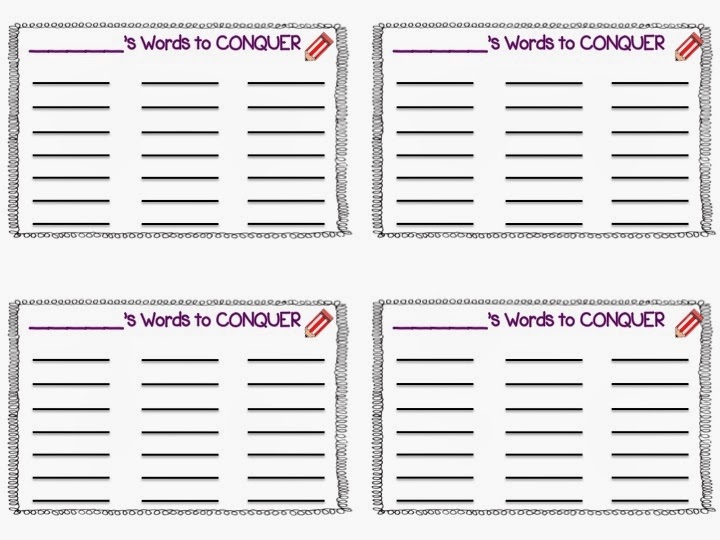 I wanted to alert you that you spelled the ending of "conquer" with an "o" instead of an "e" (conquor) throughout the freebie. 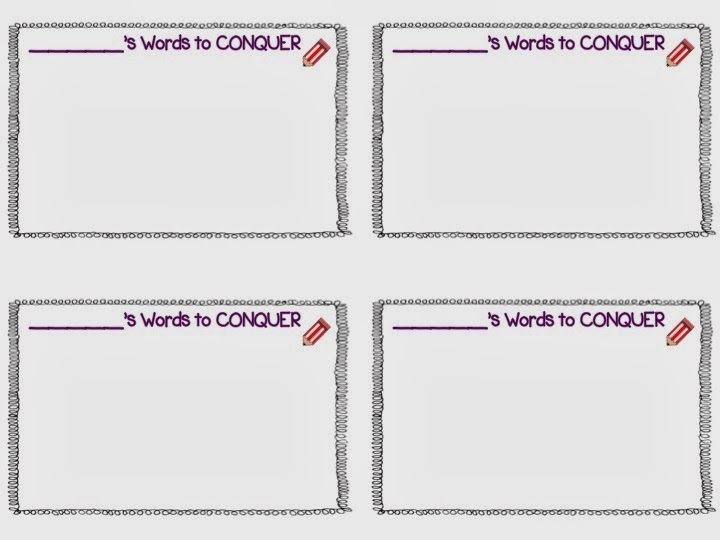 I love your idea, as my students are reluctant to dig out their spelling journals as well and a quick reference card promises to help! oh my gosh!!! Thank you so much. Why didn't spell check catch that!!!! lol. I appreciate that greatly! This is great! Thank you so much for sharing the file and for linking up! Sorry I am so late commenting. :( I'm blaming Disney! haha disney is a great thing to blame! Hope you had a bunch of fun. It's a good time to go.